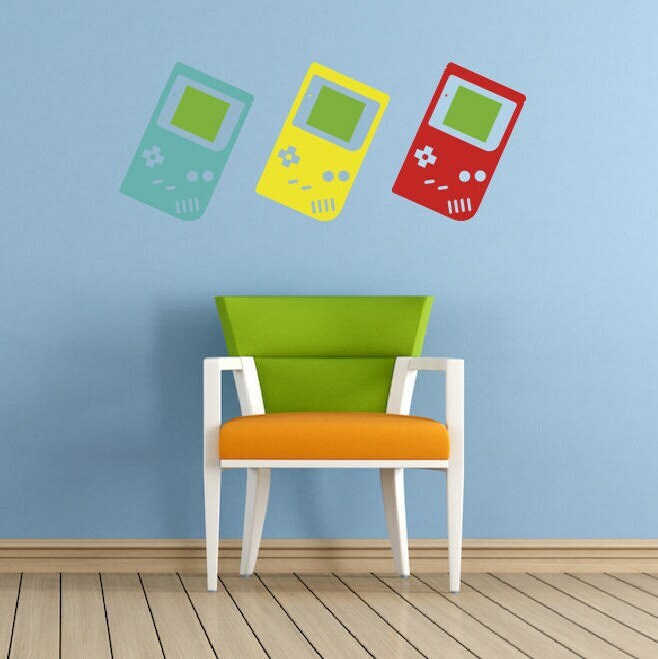 For retro gaming fanatics or those who appreciate contemporary wall art, this decal of the classic Games boy is for you. Dimensions: 500mm x 1283mm. Due to the size, it is large enough to make a stylish focal point above large furniture such as your sofa, dining table or bed. We manufacture our decals so they can be easily applied and removed and there is none on the mess associated with decorating. Our high quality matt vinyl will give the appearance of a painted graphic when applied to a matt or satin painted wall surface. 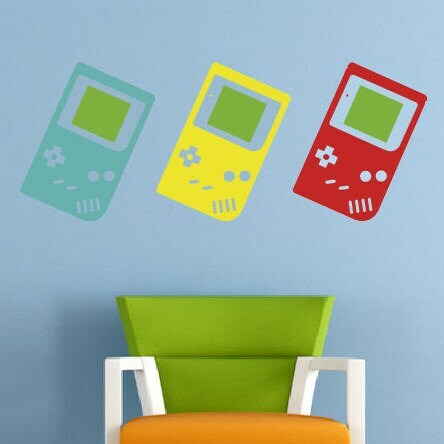 Quick and easy to apply without any mess, our wall stickers can be easily removed if you tire of them. Clean the area thoroughly with hot soapy water. Do not use window cleaner or similar products because it leaves a residue behind that will prevent the sticker from adhering well. Peel the silicone release paper backing off the decal / sticker. If the decal sticks to the white paper backing, slowly replace the white paper backing and repeat step 2. Slowly lower the sticker onto the surface in the position you want it. Rub it into place firmly with your bank card. For best results, wait 24 hours before moving to the next step. Slowly peel the clear silicone release paper off at an angle.Be careful not to pull the sticker off the surface. If decal pulls away from the surface. Repeat step 4. Full details of how to fit are enclosed with each order. Custom orders are available for wall art decals, please contact me to discuss your requirements. All UK orders are sent via 2nd Class Royal Mail. International postage options are also available, please contact me for pricing.